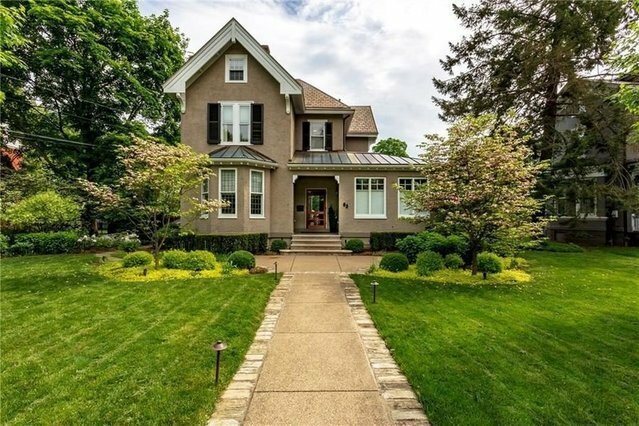 Nestled in a sought-after Sewickley Village neighborhood, this home will captivate you with all of its charms. Experly remodeled, it paints a modern landscape on a charming traditional palate to create an exceptional home for the millennium home buyer. If you love the charm, history and detail of an older home but do not have the time or patience to undertake a project, then 63 Thorn Street is the right choice for you. Large, flat and masterfully landscaped lot with fully fenced back yard. Expertly designed and crafted kitchen is flooded with light from an entire wall of windows that bring the private backyard into this warm and inviting space. Dining room opens to the back yard through impressive doors, and spills effortless out onto the new back deck, ideal for entertaining. The second level is home to a new master suite with large closet and spa-like private bath. Four additional bedrooms, two full baths and a convenient second floor laundry room complete the upper levels.